We believe that raising happy hens is just one of many steps to cultivating healthy humans. For this reason, we are proud to support and partner with organizations that give back to local communities across the country. You may remember the NestFresh Cares contest we have done over the years or be familiar with the on-going support we provide to organizations in our community. This holiday season, we wanted to make an impact on a community that is close to our hearts. We have watched the continued effort to rebuild the Southeast after the devastating effects of Hurricane Michael. 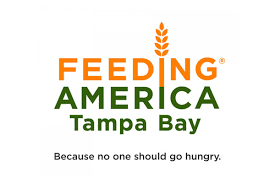 Feeding Tampa Bay, part of the national Feeding America network, has continued to focus on providing food to the hundreds of thousands of food insecure families in the ten-county area of West Central Florida, all in an effort to create a hunger-free Tampa Bay. We chose them to receive a $10,000 donation to support their massive ongoing relief efforts in Florida. One in every seven adults and one in every four children in the area served by Feeding Tampa Bay struggle with hunger, and the aftermath of Hurricane Michael has made the need to provide consistent access to food an even more dire. As the backbone of hunger relief in Tampa Bay, Feeding Tampa Bay has been pivotal in helping to rebuild areas shocked by Hurricane Michael’s damage. We hope that our donation helps them serve families and victims of the hurricane in their local community.